I know a lot of times social media sites are looked at as negative because you only see mostly the good parts of a persons day or their life through a filter. But, I believe its all in what you make of it. Yes, sometimes it is nice to see that others also have off days (don't we all) and that you aren't alone but if anything, I probably need to be seeing something uplifting on my off/bad day! I have recently discovered new accounts that I feel so encouraged/inspired by and thought I would share with you! Some are bloggers, some are shop owners, some are writers, some are hair stylist, and some are just people I have found through other peoples accounts that I enjoy. I'll break them down into categories so that if you don't care about the best foundation to wear, you can read a devotion or see someones work out routine. By the way, these people have no idea I exist. I just love following their instagram accounts! I first found Kate on Pinterest with her famous, easy hair styles. She shares everything from her kids, to home decor, to makeup and hair tutorials. I have followed her blog for years now...like 5 years. Lauren is Kate's sister. She owns a small jewelry business and is a life + style blogger. Her fashion is on point and she also has easy hair styles and makeup tips. Plus, she loves target too. Win. I have talked many times about Root Makeup! It is the makeup that replaced by beloved Bare Minerals and I could not be happier with the switch. Root's makeup is natural, vegan, and gluten free. They also have tutorials on youtube and give-aways often. I won a $25 gift card once! Abby is a mom to four and a lifestyle/beauty blogger. She makes using a hair wand look like the easiest thing ever! Jealous. The Tone It Up girls are intense! I've done some of their workouts and they are killer. They make it look so easy! I find a lot of their videos on youtube for free. Karena and Katrina are the founders of Tone It Up and this is more of their personal lifestyle account. 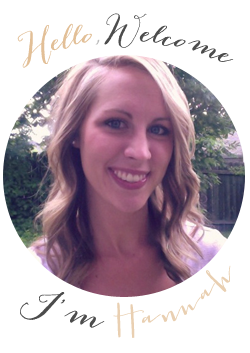 Jessa Connolly is the owner and designer of Naptime Diaries and a cofounder of Influence Net. I follow her personal account but this is her journey to be healthy. She post about workouts and different meals she prepares. Of course JoJo and the Magnolia Market would make the cut! I love love love Joanna's design style and wish she could come a decorate my whole house for me. The Magnolia Market is her shop where she has a ton of cute things! I actually got to visit her store when I was in Texas this summer! Jordan, who blogs at funcheaporfree.com, is fantastic. She is all about a budget, thrifty living, style, and raising her four kids. She was also on TLC's extreme cheapskates. She blogs about going on vacations for cheap, buying stuff second hand, exercising, recipes...literally everything! Follow her now! Jen is seriously all of your organization/OCD needs in one place. She can organize anything and make it look beautiful while doing it! Rachel Cruze is Dave Ramsey's daughter. Yes, the budget guy. She has motivated me to pick back up my Total Money Makeover book (by Dave Ramsey) and start a budget in August. On my way to being debt free! Emily, creator of the Simplified Planner, makes me want to be more organized. Her instagram is so bright and upbeat! One day I will own a Simplified Planner... one day. Emily Lex blogs over at Jones Design Co. and is the sweetest. My friend, Barbara, got me hooked on her blog and her instagram is just as fabulous. I listened to her on a podcast today (more on that in a moment) and I love her even more now. You would think I knew these people in real life. haha. *This is my longest section. I am trying to fill my social media accounts with uplifting, encouraging, and inspiring people. People who make me want to be a better person. She reads truth has daily bible studies that you can follow along with and they also have an app you can download for your phone. The studies are beautiful. I have done a few of their studies and I can always learn something from them. This is an account similar to She Reads Truth. Proverbs 31 Ministries have different writers that prepare devotions every day. They also have a new app that launched recently called First 5. Its set up so that you can set your morning alarm on the app and before you look at anything else on your phone (FB, emails, text, etc) you can read a devotion so you start your first 5 minutes in your day in the word. Pretty cool. The first devotion starts on Monday. This account also has daily devotionals 7 days a week! Gretchen, the owner of Life Lived Beautifully, has been SUCH an inspirations to me lately. She lives in TN and is a recent new momma to Nolan. She created the Give Me Jesus journal which I currently use during my quiet time. She has recently started a study through Philippians which I am enjoying. I highly encourage you too follow her on instagram and follow her shop, llbshop. I want to be her next door neighbor because she seems so genuine and sweet! If you want to see someone love on people or want to know how to love on strangers, Carrie is your girl. She gives to the homeless, encourages me daily, and is a believer in kindness. She loves the color pink and TSwift. How could you not like another Swiftie?! Lara Casey is the author of the book Make It Happen and the Editor-in-Chief at Southern Weddings (love)! She encourages others to go for their dreams, to have goals, and to never give up! I actually found Amy through the hashtag #journalingbible and #doodlesbyamylou. I believe she was the first person who I had really seen use a journaling bible and I love the idea of it. She is so talented! I was recently introduced to Jamie, once again through Barb, and I LOVE her! She makes podcast called The Happy Hour with Jamie Ivey. I literally listened to her podcast for hours today. Hours. She makes you feel as though she is sitting in your living room just talking with you and your friends. I was so encouraged and uplifted just by listening to a few of the podcast today. I listed to #2, #42, #43 and #47. Im a big Jen Hatmaker fan. I think this lady is hilarious. Her family also had a show on HGTV called My big family reno. Loved it. She is someone that I follow because she is funny, doesn't take life too seriously, has a love for adoption, and did I mention she was funny?! She is also an author. Her books are good. Look her up and go read! This girl has been such an inspiration to me during my single and spiritual life. She blogs over at thefulltimegirl.com and she has some GOOD post. Seriously, look her up! So there ya have it! Just a few people that you should follow if you want to feel inspired, encouraged, and refreshed! Let me know of people you follow on social media or blogs you have read that you love. Oh, or podcast. Thats my latest obsession. Now I will continue to binge listen to The Happy Hour with Jamie Ivey.